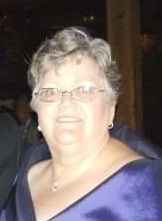 Sadly, we suddenly lost our favorite wife, mother, Granners, sister, cousin, and friend on Wednesday, October 24th. Here are some mostly true facts you might like to know about her. Trina had her first fight before she was baptized. After all, she was following Teddy, Timmy, Terry, Tommy, Todd, and Thaddeus, and therefore absolutely had to sport a name beginning with the letter “T.” Her parents, Mary and Ted Shields, tried to convince Father McDermott, pastor of Holy Saviour since Noah built his Arc, that Trina was a Greek saint’s name. He didn’t buy it and she was consequently named Catherine. Trina led a virtuous life (stop laughing) because her mother dedicated her to the Blessed Mother. Thus, she never wore pants (until she was able to out argue her mother at about six years old) and always wore white or Blessed Mother blue cute little dresses her mother sewed for her. She was destined for holiness (quit that laughing). “Chi Chick” was her favorite call sign and she loved being at football games or parading up Chichester Ave. in the color guard. Trina continued to march with them until last month (slight exaggeration) when she had her knees replaced. She made legions of friends at both Holy Saviour School and Chichester High School where she graduated in 1972. Hundreds of them still count her as friends to this day. She met her husband, Donald Clark, at Chichester High School and together they bought the house that sits at the edge of the school grounds. Trina and Donald married in 1976 and had two daughters, Andrea and Ashleigh, who brought tremendous joy into their home. Even the thought of becoming a grandmother frightens most normal women, but she couldn’t wait to become granny. To distinguish herself from her mother (also granny) she was known as “Granners” by her two adorable, outstanding, wonderful (her words) grandchildren, Thomas and Aislinn. Sparked by her employment at Apple Tours, Trina loved to travel. Those who lived far away, like her favorite cousin Kathy, in Tucson, were not surprised to get a call from the airport asking for a ride. She knew family had to accept her whether they wanted to or not. That’s probably why she chose to knock on the Pearly Gates and yell” Surprise!” She is now probably holding all her cats and laughing at how she thoughtfully left behind lots of stuff for Donald and the girls to clean up. In addition to piles of unopened mail and crates of makeup, she leaves behind her brothers, Ted, Terry, Tommy, and Thaddeus and their spouses and children. She didn’t have a chance to say goodbye to the hundreds of cousins she loved yukking it up with, or the legions of friends she enjoyed leaving sarcastic comments to on Facebook. She will sure miss Facebook and Facebook will sure miss her. In lieu of flowers, please send a donation in her name to the American Lyme Disease Foundation, PO Box 466, Lyme, CT 06371. Her viewing will be held on Tuesday, October 30th (mischief night) from 8:30-10:30 am in St. John Fisher Church 4225 Chichester Ave. Boothwyn, PA. A Funeral mass will follow at 10:30. Burial will be private. Trina would like you to join her in raising a glass of White Russians (or your favorite beverage), stand in front of a karaoke machine, and sing “Amazing Grace” with all of your heart. That’s our amazing Trina. Thank you all for your messages. I recognize so many names here but haven’t even met half of you. She certainly had so many stories about all of you. Your thoughts mean so much to all of us. The second I saw this I thought “hey major” before I read the whole thing. She was so proud of you and always showed us the pic of you working the lines. Full of absolute pride and to show us we could be anything. Always that one pic in the newspaper. I hope I find it. This is absolutely perfect. I’ll miss my second mom very much. I like to think you and my mom are neighbors again, sharing a driveway. Your loss is devastating, Rose and I understand that, and our hearts are with you, always. As you all wished, we have made a donation in Trina’s memory to the American Lyme disease foundation. We will always remember Trina with a big smile. Love to you all. What a beautiful tribute to a beautiful woman. May God Bless the Clark and Shields families during this painful time. Trina will truly be missed. To all Shields boys, We were so sorry to hear about Trina’s passing. We have been friends since Johnson Avenue and even when we moved our friendship never ended, and it was funny that Trina moved to Boothwyn next to our home. Trina will be missed by many. Trina is having coffee with my mom& your mom and watching over us all. God bless your whole family at this time of sorrow. That might have been the best obituary I’ve ever read. Trina trained me at Apple Vacations back in 1994, my first real job while I was still in college. She quickly became a friend, mentor and (brutally) honest confidant. I haven’t seen her in a few years, but it sure feels like something is missing this week. Prayers to the Shields and Clark families. You will be missed, Trina. What a wonderful obituary. The only thing that was missing is that it was a natinal holiday in Delaware County the day Trina was born! Finally a sweet baby girl for all of the boys to cherish and her loving parents too. An honor to call you my friend. Trina , you touched so many of our lives in “your only Trina” way. Growing up on Johnson Ave. with you & your family, wow what childhood memories we made an no one can take them away. To the Clark and Shields your in my prayers and thoughts. Trina will truly be missed. Love you girl! My thoughts and prayers are with you and your family at this time of sorrow.. I known Trina since middle school. She was always witty and funny. I have lots of memories from those years. My prays go out to her family. She will be missed. I was so very sorry to hear of Trina’s passing. We were cousins, but I don’t believe we ever met, face-to-face. I enjoyed “talking” to her on Facebook and wished we could have met. My deepest condolences to Donald, Ashleigh, Andrea, her grandchildren and her brothers. My thoughts and prayers will be with you all. Is it wrong to say – I love this. I know she does too. She is looking at us going – “You suckers now have to come and see me”. Trina loved you all so very much. I know so much about your family and I’d never met any of your. They say that God has a sense of humor… He is about to learn a few new tricks and jokes from our Trina. He may even learn how to use FB. Miss you already my friend! Until we laugh together again. To all the Shields boys – especially you, Terry – I am so very sorry for your loss. I and my remaining siblings have so many wonderful memories of all of you. There was a Shields, an Evans, a Wanner and a Wesolowski in every class in Holy Savior wasn’t there? The obit was so spot on. Only you guys could make it funny. Please know the Evans family will always hold the Shields family in a special place our hearts and prayers. And tell Kathy Ward I said hey! Hey Pat , thanks for your thoughts you guys were always a part of our young lives with your Mother and my Mom they were an amazing Duo . We all loved your Mother , and you and your siblings and me and my siblings were all part of that package . Pat get in touch I’m in Boothwyn . Terry, I’m in Claymont. I plan on coming to the viewing and hope we can make plans to get together and laugh and cry about all of us and those we’ve lost. My deepest sympathy to all the family of Trina. My prayers are with you all. She was the definition of funny. I’m sure she was guiding the pen for anyone who was writing this awesome tribute to her. Perfectly done. She would have loved this. The Huston family was very fond of Trina. We will definitely have some White Russians in her honor. Sorry you lost such a groovy Chi Chick. She made quite an impact on all of us. Trina, the one who could match my sarcasm. We send our hugs to family and friends. She always had my tie clip. She will be greatly missed. I never laughed at an obituary, by just as my favorite neighbor made me laugh, this would as well. Trina did so much for me and my son, especially after my mom passed away. She always made sure to try and make me smile. That is absolutely the best tribute to Trina that could have been written. She was one of a kind and will be missed by all. I am proud to have been one of her legions of friends. What a great obituary! I’m sure Trina would have loved it. I will miss her Facebook posts that were always funny and sarcastic. She was a great person. Trina would LOVE her ‘write-up’… you managed to capture her so well. Such an amazing angel she is too. She will surely keep things running smoothly in heaven. God bless you Trina Shields Clark! Thoughts and prayers are with Donald, Andrea, Ashleigh and her beloved grands. Always made us laugh. What a good person. She will always be remembered. She left me with many childhood memories that I will always cherish. This obituary is so Trina! She was full of life, laughter and love. She will definitely be miss. Thinking of Donald, the girls and family at this rough time. What a true and wonderful tribute that made me smile through my tears. And you’re so very right in saying Trina will be missed by so many. We all were happier even just for a minute, because of Trina! Take care Clark family, my prayers are with you all as you try to go on without the Chi Chick.Bless you. I love you Trina. Thank you for making me laugh and being so cool. I know you and my mom are up there together watching out for us.